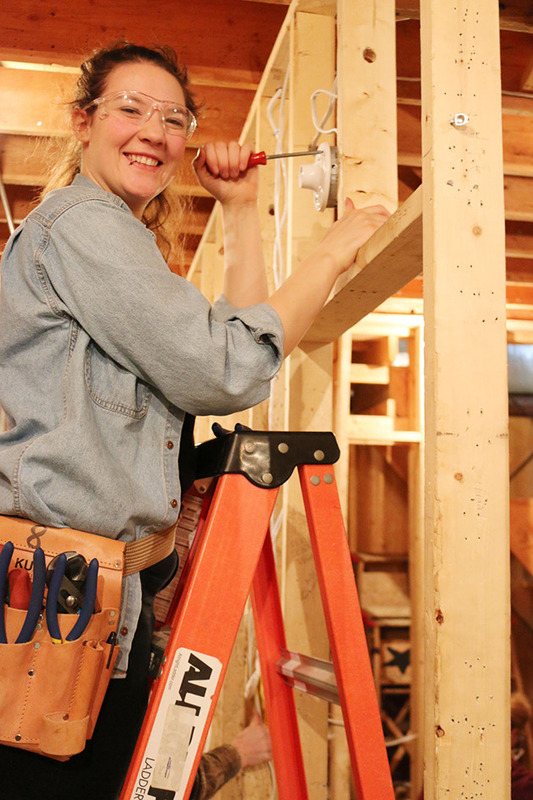 Encouraging women to enter the trades isn’t as simple as fitting them with a tool belt. Feb. 19, 2016 4:00 p.m. But as the trades discovery program for women wrapped up this week, program coordinator Julie-Claire Hamilton looks back on a term even more successful than she’d imagined. At just 18, recent high school graduate Indie Nelson jumped at the chance to take the 14-week program offered by Selkirk College. She’s looking for a new line of work after spending 16 years overseas in the legal profession. Home in the Kootenays, her profession didn’t translate. “And I have always been interested in doing it myself and using my hands,” says Randall, 53.